The Warsaw-Illinois Executive MBA program was one of the first MBA programs in Poland. The program was funded from private US sources (Ford and Mellon foundation grants) and USAID support. The MBA program was chosen as a platform for cooperation because it is the world standard of comprehensive managerial education that joins academics and practice. Short courses or executive development programs, while complementary to an MBA degree, are not substitutes for the comprehensive management education offered in an MBA program. Seventeen groups of students have already graduated. The program is very highly ranked in both Poland and the US. Our graduates are employed in top management positions at leading Polish and international companies. The program has set the standard in Poland for management training. For many years, the Warsaw-Illinois EMBA has been ranked among the top Executive MBA programs in Poland. In addition, the University of Illinois' MBA Program is ranked among the best MBA programs in the world. The Executive MBA program is challenging and requires a substantial commitment, but the results pay off. The alumni are highly recognized and are hired and promoted by most national and international corporations operating in Poland. For more information about Warsaw-Illinois Executive MBA, please submit an information request below and the school will contact you with further information. The Warsaw-Illinois Executive MBA program is designed specifically to fulfill the needs of middle and senior management, consultants and entrepreneurs. To be eligible for the Warsaw-Illinois EMBA program, students must fulfill all the admissions requirements of the Graduate College at the University of Illinois as well as the entrance requirements for postgraduate study at Warsaw University. Fulfillment of these requirements ensures the continuing quality and success of the EMBA program. An average Grade Point Average (GPA) of at least 4.0 on a 5.0 scale for the last two years of previous university study. A minimum 3 years professional experience, including meaningful management responsibilities. A minimum of two letters of reference from current and/or former employers/supervisors. A working knowledge of English (written and spoken) must be demonstrated. Satisfactory completion of an entrance examination that includes mathematics (basic calculus level), logical reasoning, and problem solving. Personal Interview (in English) to learn more about each applicant in terms of experiences, motivation, and aptitude relevant to graduate study. The Program lasts 16 months and consists of three semesters. It starts in September and ends in December of the following calendar year. The Executive MBA classes are held in two-day sessions on Friday and Saturday, with two sessions per month. There are four one week sessions, to facilitate the courses taught by American professors. The Program’s organization fosters the greatest student involvement, ensures the most effective learning environment and provides the largest possible variety of topics and teaching methods, and the most collegial and productive student groups. The program provides one integrating training session to be held outside the school’s premises. 15 core subjects, taught during full-scale, 40 or 30-hour courses. Two short courses are usually offered during the second or third semester. Level 1 is defined by leadership and teams and explores and develops the specific concepts and skills needed to address the challenge of being a leader in today's multicultural,diverse, global business environment. Level 2 introduces you to the functional knowledge needed in business: accounting, finance, marketing, strategy, law, operations management, and quantitative methods. Level 3 goes deeper and focuses on cross-functional and enterprise-level problem-solving, key knowledge and skills required in well-rounded general managers.Students are required to complete Marketing, Finance and Strategic Management projects that are submitted to real-life companies for evaluation.Projects are judged and the top projects are given special recognition and rewards from partner companies. Level 4 concludes with a complex, capstone consulting project that spans a full semester. The projects are real-life, multidimensional projects that typically come from the companies of program participants or graduates. Students apply their functional knowledge and skills to analyse multidimensional, real business problems and offer concrete recommendations to the companies. Executive MBA is also about networking. The WIEMBA program is structured around working cooperatively in groups. Participants learn to work effectively in problem-solving teams. The teams work together to examine global company practices through the use of case-studies, conduct negotiations with each other, and develop complex consulting projects. As a result, participants learn from one another in a mature way and build long-lasting personal and professional relationships. In addition alumni become members of a family of graduates, numbering more than 600, creating the largest professional network in Poland. 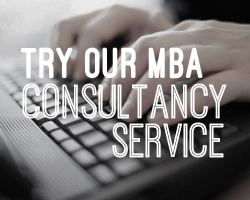 Fill out your details to find out more about Warsaw-Illinois Executive MBA.